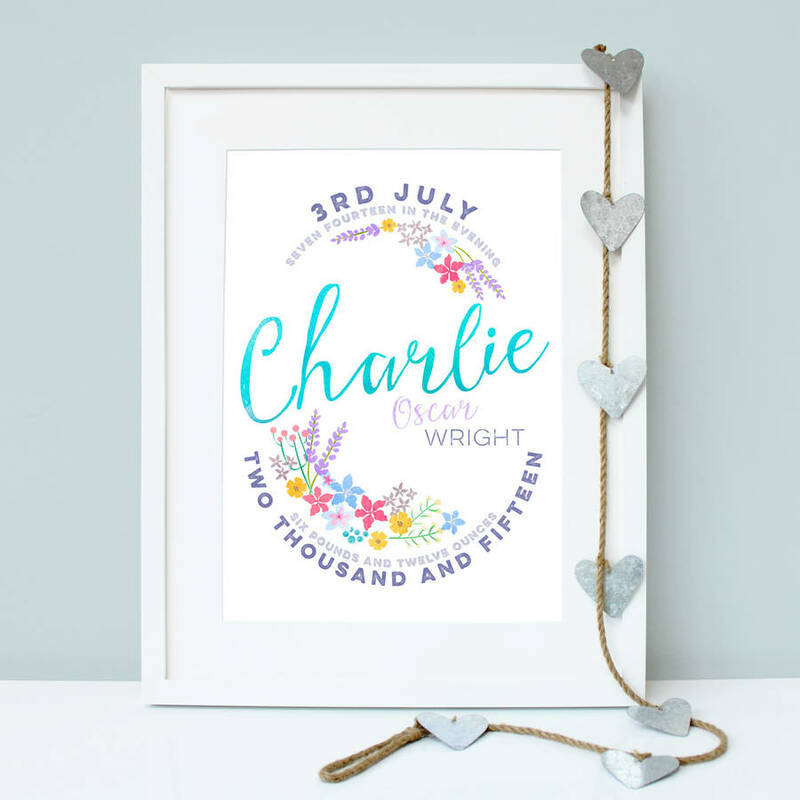 ** 18TH DECEMBER FINAL ORDER DATE FOR UK CHRISTMAS STANDARD DELIVERY ** A beautiful typographic print which makes a wonderful gift for a newborn. 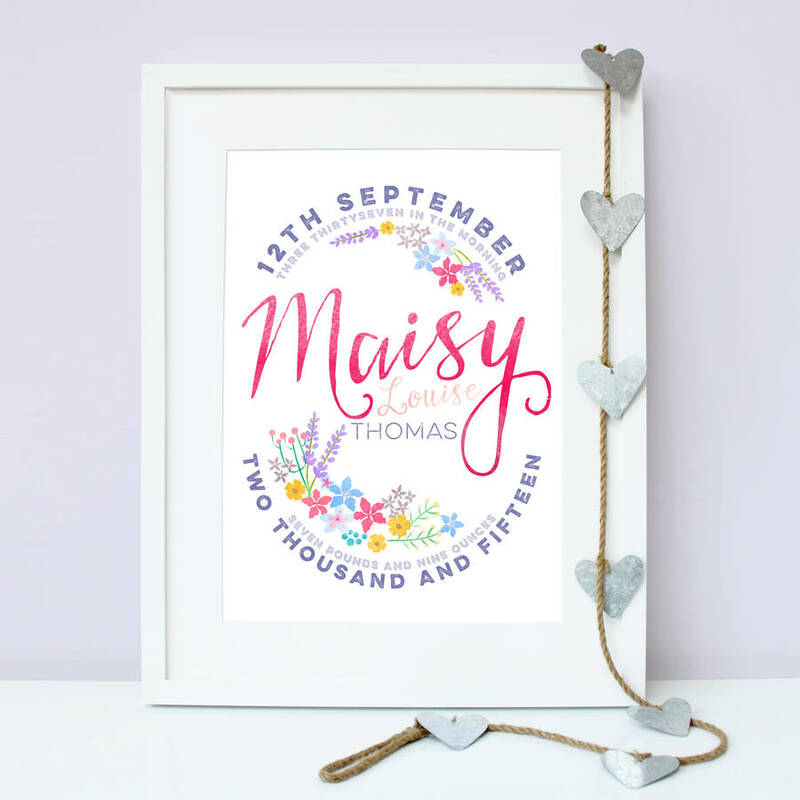 Commemorate the birth of a special little one with this colourful print, featuring baby's name, date & time of birth, along with their birth weight. 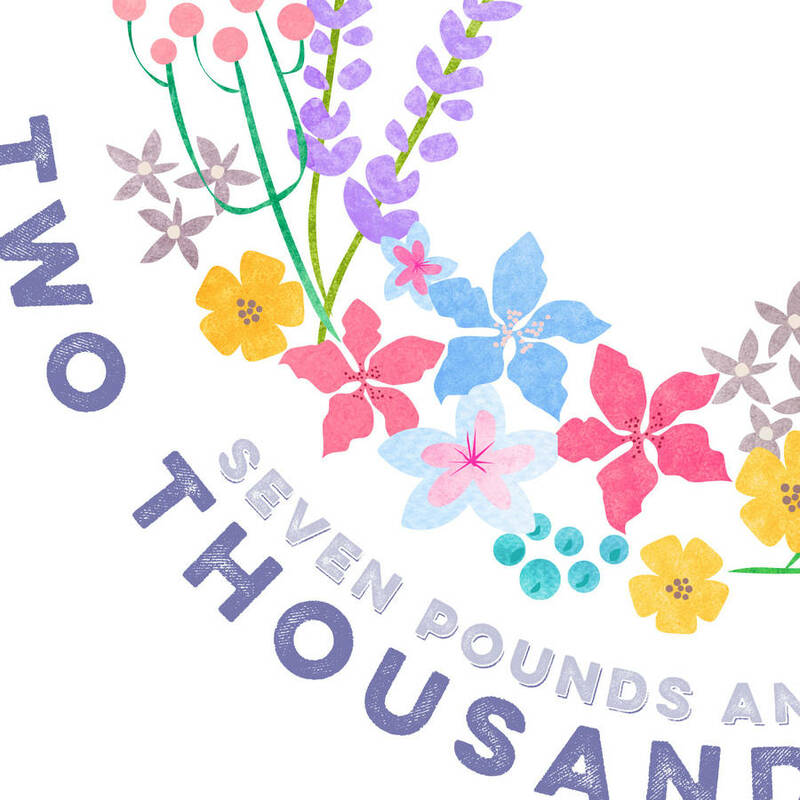 This thoughtful design will look great on a nursery wall. 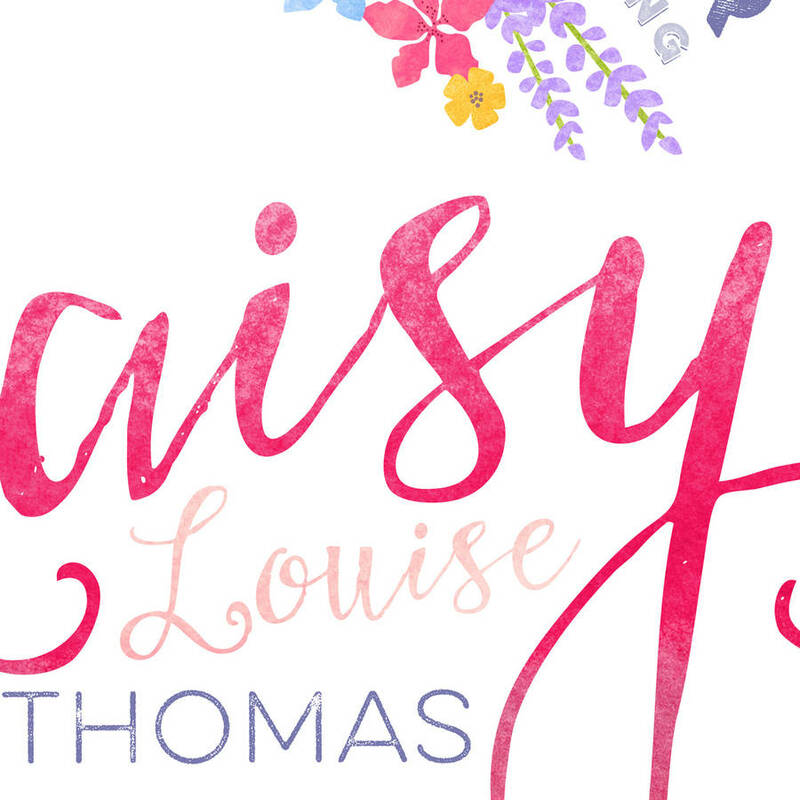 Katy Clemmans has created this illustration with beautiful hand painted watercolour textures and can customise the typography of each order with baby's unique details, making it a special gift for new parents, baby's birthday or christening. The pretty colours and unique texture details make this a print that both children and adults alike will treasure. 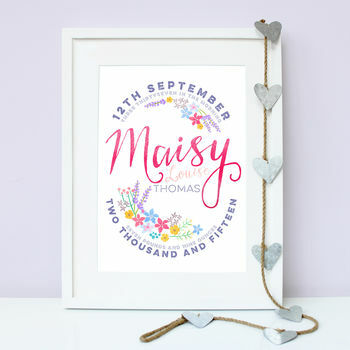 The print can be personalised with baby's name (including middle name if applicable), date of birth, and weight at birth. 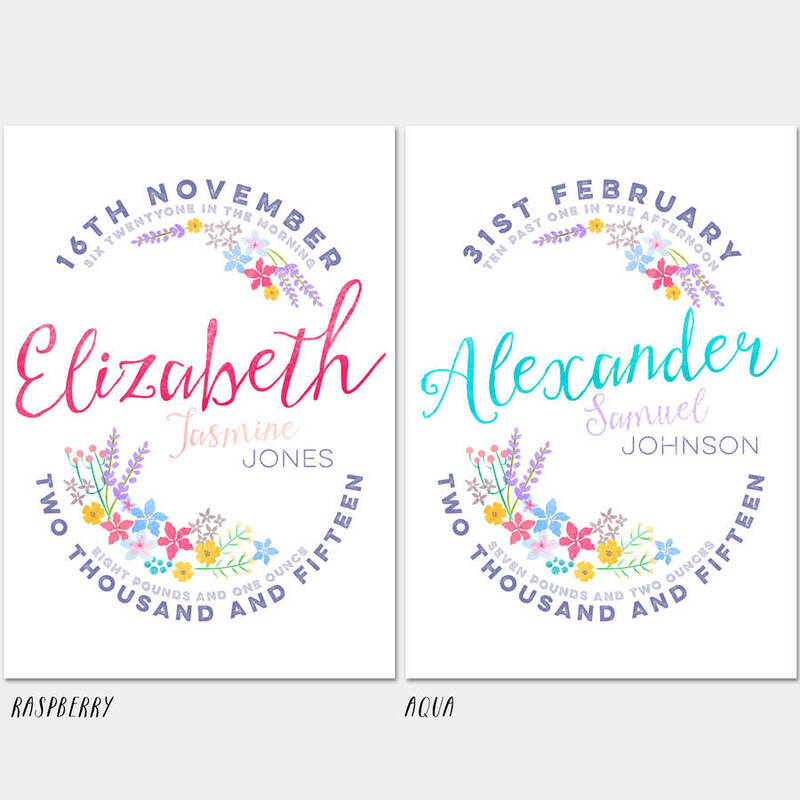 Baby's name can be created in a choice of 'Raspberry' or 'Aqua' colourways. Katy Clemmans wall art prints are giclee printed onto heavyweight 192 gsm matte archival paper, they are of fantastic quality and will last a lifetime without fading (prints are sold unframed). All prints are supplied in a plastic sleeve. A3 prints are rolled and shipped in cardboard mailing tubes, A4 prints are shipped with backing boards in rigid mailing envelopes. A3 and A4 prints fit standard picture frame sizes widely available.